Hidden Mysteries: Return to Titanic is rated 3.3 out of 5 by 84. 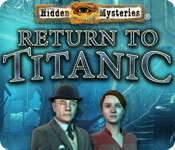 Rated 5 out of 5 by J9CT from Play this game & help the lost souls aboard the Titanic!!!! 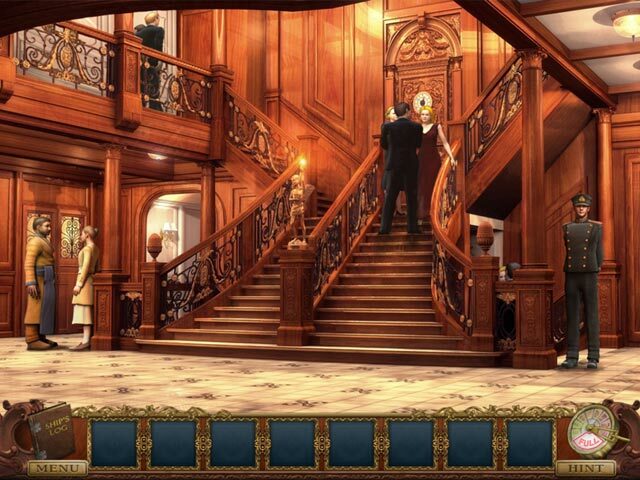 I love all movies, doccies and games related to Titanic so there was no way I would miss out on this game. The music and mood is very somber as it should be. I actually felt sad playing this game as it made me think of all those who died but once you've helped the lost souls on board redeem themselves it actually makes one feel a lot better. Played this game thrice already, really interesting and fun. Rated 5 out of 5 by nitaloo from My favorite hidden object game. This is the best hidden object game I have ever played. Rated 5 out of 5 by Deejaycee522 from Very Challenging HO Gameplay I was surprised to discover that this game was so difficult to play. It is a terrific game. What makes it difficult is that you have to travel throughout the ship before the sinking of the Titanic and after the sinking to find clues that will allow you to advance through the game. 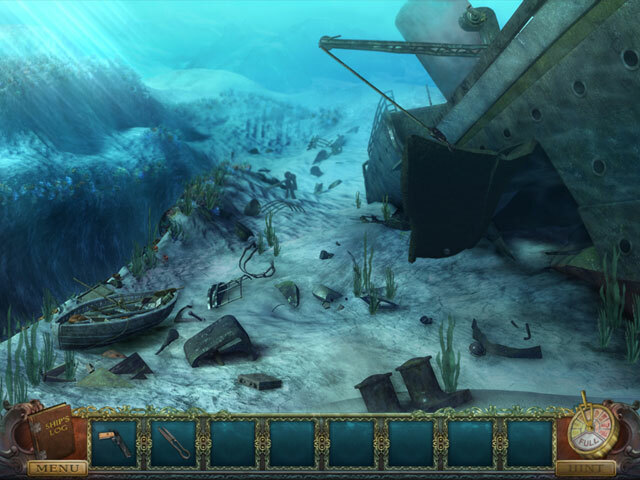 When you explore areas on the ship after the sinking, you encounter spirits which block you access to certain locations. You meet ghosts in different locations which request you to solve a number of challenges. After you complete the challenges that the ghost requires, it thanks you for freeing their soul and in turn one of the spirits is removed allowing you to enter into an area of the ship that was formerly blocked off. So throughout the gameplay, you're traveling from present to past. There aren't many clues, you have to use your brain to find what you need. The graphics are excellent. The music is very good. The game is very long and interesting throughout the entire game. Rated 5 out of 5 by scrcrow from Step Through History The flashbacks in the game where one went from the seafloor where the Titanic ended up to the opulence of the ship before it hit the iceberg was nicely done. 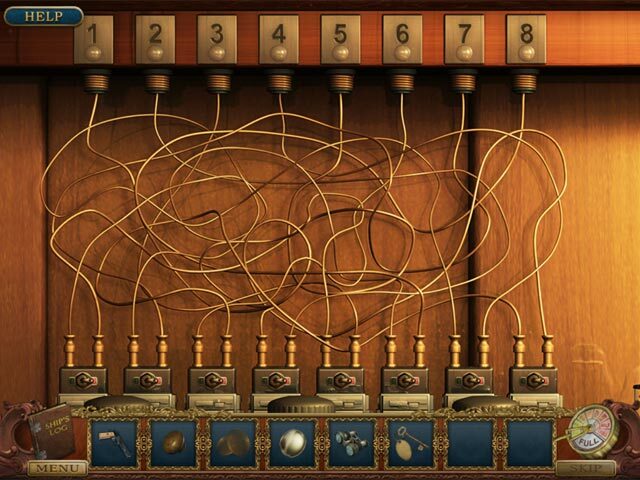 The game wasn't so convoluted that you couldn't figure it out since there's no walk-through. I enjoyed the story line and the music that changed from being haunting when your character seemed to be dead and when you seemed to be alive and on the Titanic itself. It is a game I will play again. Figuring out who was who and where the story was going was one of the genuine pleasures of the game. It had me stumped until the end. Rated 5 out of 5 by joyzebra from Great Game I loved the game. Had to use the walkthru often, but worth it. It took me a long time (5hrs) but I played slow to enjoy every scene. Rated 5 out of 5 by bthree from MAN OVERBOARD! Very challenging moving between time eras. Gives you a nice slice of history to ponder: what if? The graphics are good but not as detailed as some other genres. Backgrounds excellent. Characters arre just that - if you can recall who is where and when. Definitely a good challenge. I highly recommend this game. Rated 5 out of 5 by stollensecret from My Current Favorite This game takes an unexpected approach. I liked it. Rated 5 out of 5 by LilaJane from Excellent HO adventure I wanted to give this game my 5 stars, because the average (just over 3 as we speak) does not do this excellent game any justice. The storyline is captivating and the ambience is great, (albeit a little sombre due to the subject matter). The only thing I didn't like was the music, but you could always turn that off. This game will keep your interest until the end, unlike many more fast-paced games, if you only give it a chance. Rated 5 out of 5 by millymolly80 from Beautifully made game. Spent a credit on this and so glad I did.The graphics were beautifully done, loved going through the time tunnels and saving lost souls. Really intrigued with the story-line,kept me hooked till the end. This was a good long game to play and lots of things to do. The hidden objects were very clear and well done. Liked the hint system which tells you to try another location if there is nothing to do...it then sparkles when you are in an active area... One of the Best games i have played on the Titanic theme. You get a feel for the empty ship when you go backwards and forwards and I thought it was Hauntingly BEAUTIFUL!!!! Enjoyed it, didn't want it to end. BRILLIANT!!! !